This is a pre made, one of a kind, leather telescoping cigar case. 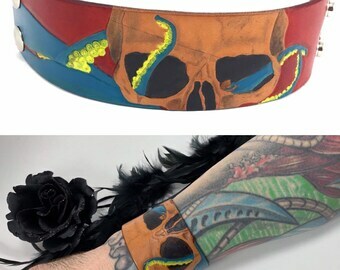 It features a hand drawn skull and tentacle design tooled in the upper half of the case. It was hand painted in blues, greens, and yellows with a natural finish background. 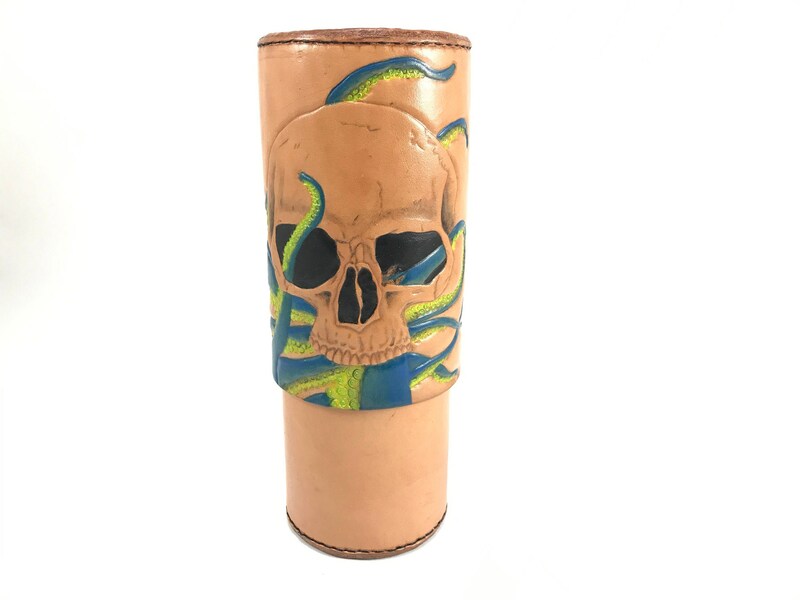 This will hold up to 8+ cigars depending on size. 8 Churchill sized cigars or 7 robusto sized cigars. The upper and lower half are lined in with Spanish Cedar. The upper half is half lined as to provide a stopping point for the CigarTube.